The loss of your internet connection may happen for several reasons, but usually means that one or more of the devices on your home network has lost connectivity, or may need to be power cycled. 1. Make sure the power adapter (also called POE Adapter) for the roof radio antenna is plugged in and working. (This power supply typically has a green or blue LED on it.) This powers the radio outside. 2. Make sure the network cables are connected to the wall plug, the computer and to any other network devices and router. 3. Make sure all network devices and routers are plugged in and have power. 2. If you have a router, wireless router or other network device, then power cycle the device(s) by unplugging the power. Wait a minimum of 90 seconds and plug the device back in. NOTE: If the router or other network device is plugged into a power strip, power cycle the router/device itself not the power strip. 3. Make sure the Internet and network settings for your computer are correct and reboot your computer. If you are connecting wirelessly with a laptop, make sure the wireless feature is turned on, and you are in range of your wireless router. If none of the steps above work to restore your Internet connection, please contact Technical Support at 308-382-8764 or email us at: support@kdsi.net. Routers are usually the number one cause of slow speeds or no service at all. Routers can be misconfigured, positioned wrong, have coverage distance limitations, have internal channel interference issues, failed ports, age and many other reasons a router could affect your service. Please do not be offended if we suggest that the issue may be your router. Please also ensure that your routers are secure and are not being accessed by unauthorized users. 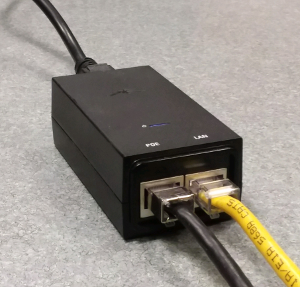 All devices that are connected to a router will use some form of bandwidth all the time. This includes phones, TV’s, gaming systems, etc. Please also be aware that 3rd party DVR or storage equipment such as Hoppers and Apple products are known bandwidth hogs and can make a connection seem slow when in use or while updating. Most devices update without you ever knowing. You may experience what seems like a slower connection as Internet use from your own home increases due to download of large files or multiple users on your home network accessing the Internet connection. Be aware of file sharing software that might allow others to access and download large amounts of data from your computer. Viruses often slow your computer’s performances as they demand processing power and use Internet resources because they often send out massive amounts of information over your Internet connection. Please note, too, that just having an anti-virus product installed on your computer is not enough. It must be kept up-to-date and re-licensed when it expires. Even then, anti-virus products are not necessarily going to protect you from getting a virus on your machine. For further information or questions please call us at 308-382-8764 or speak with your service representative. We are here to help and provide you the best service possible.